2nd EUROPEAN EXCELLENCE SUMMIT | Meisterkreis – Deutschland e.V. July 12, 2018: Madrid. 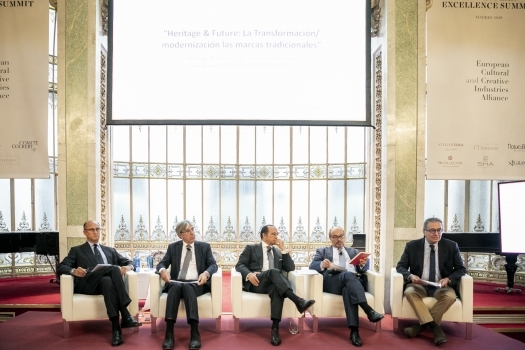 The second European Excellence Summit, under the umbrella of the European Culture and Creative Industries Alliance (ECCIA), took place under the patronage of Círculo Fortuny, the Spanish counterparts of the MEISTERKREIS. Michael Ward (Harrods), Paolo Zegna (Zegna) spoke on the topic “Heritage & Future”. 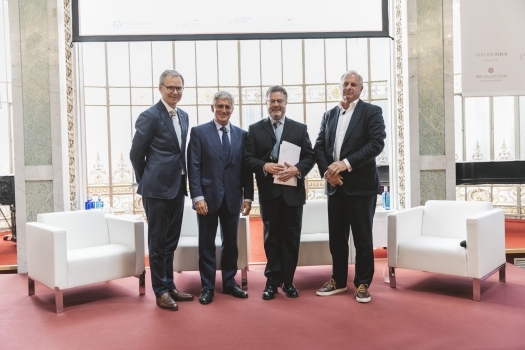 Members of the MEISTERKREIS also took to the stage: Dr. Andreas Kaufmann (Leica) spoke on the panel “Creativity, Innovation and Talent – Driver of Excellence” and Frank Marrenbach (Oetker Hotel Collection) on the topic of “Experience Tourism”.